Every once in a while I come up with a really good recipe. When I do, I like to pass it along. Some recipes I’ve been meaning to pass along — like my no-sugar-no-fat-added banana-apple waffles — but I just haven’t found the time. Most recipes I make are one off. That is to say, I don’t measure anything, and I often add things along the way, and forget what’s in them, so there is no way for me to accurately tell you about it. But this one for the World’s Best Gluten-Free Pasta Dish is one that — while I didn’t measure — I can figure out about the right numbers to give you a chance to make it. And so, without further ado, here it is. NOTE: When I say “gluten-free” I am referring to the pasta. If you need things to be completely gluten-free, you should probably use a tamari-style soy sauce, and check on any other ingredients. Put the pasta water on to boil and heat up a grill pan or your grill. Once the grill is hot, add the asparagus. Leave the spears on just long enough to add dark marks, but don’t cook them through. This should take no more than 2 minutes. 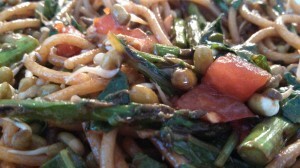 Remove the asparagus to a cutting board, and cut off and discard the woody bottoms, then cut the rest into slightly larger than bite-size pieces, i.e. don’t destroy them. 3 or 4 cuts is all you need. After 13 minutes, drain the pasta, and return it to the pot. Add the soy sauce and sriracha to the pasta. Stir to coat. Add the rest of the ingredients EXCEPT the lemon juice. Stir to mix. Serve in shallow pasta dishes. Add the splash of lemon at the table for just the right touch of acid. P90X3 is coming December 10th! And of course there are some bells and whistles too good to ignore. First off, the Coach exclusive: If P90X3 is purchased through a Coach any time from December 10th – 31st (including Challenge Packs), the customer receives an exclusive P90X3 baseball cap. What better way to spread the word about this revolutionary program? The app includes P90X guided workouts, tools to track your reps, weights and progress. Launching soon, is the P90X3 addition – which brings you workout specific tracking modules, scheduling options and the motivation you need to power through the 90 days. P90X3 scheduling and tracking will be available on the app for Android on 12/10 and is coming soon for iPhone. Check out the app and get ready to bring it! Sign up for a FREE Beachbody account to be the first to know when X3 is available. Dandelion root tea instead of coffee? It’s a brand name, but it’s also a cool phrase to describe drinking health-inducing tea, because, yes, our diet should be the first place we look when we suffer from a chronic illness. Let’s face it. Our medical professionals do a great job when dealing with acute trauma, like a broken arm or an accidental knife through the hand (don’t ask…). However, when it comes to treating us for things like high cholesterol or hypertension or type 2 diabetes, well, doctors tend to reach for a drug from one of their pharmaceutical partners and be done with it. Sure, they may pay some lip service to “you should really eat better and get some exercise”, but then they write the scrip, and the patient’s human nature takes over. That thesis is pretty much the overarching theme of this website. We must take control of our own health and fitness, and we should start with our diet. So, I’m not going to harp much more on that here. What I really want to say is that I have recently rediscovered roasted dandelion root tea. I say “rediscovered” because I’d bought it last year and tried it a couple times in the evening. I didn’t really care for it. Recently, though, I did this cleanse thing, and it prescribed a cup of this tea in the morning. In that context, I found roasted dandelion root tea very enjoyable. I suppose I could focus on the health benefits of the tea. 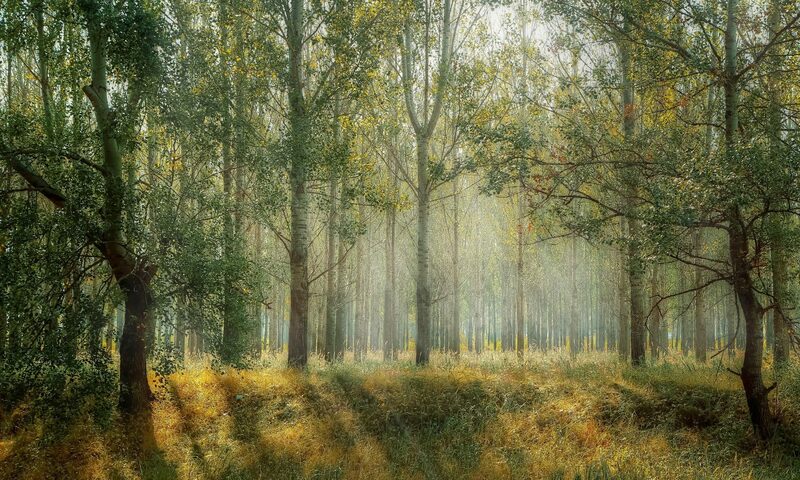 Livestrong tells us how dandelion root tea can help keep the kidneys and bladder flushed and healthy, and also how it may help increase healthy digestive tract bacteria. The box says something about healthy liver function, but I don’t know anything about that. 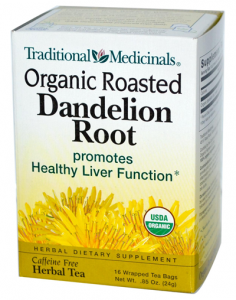 Here’s what I do know about Roasted Dandelion Root tea: It is a suitable substitute for coffee. Well, that’s what I would have said to anyone who dared offer up something as a suitable substitute for coffee. After all, coffee is one of my food groups. It’s a necessary nutrient in my diet. And I’m not talking about that adulterated junk some drink and call “coffee”. Coffee with anything added to it is no longer coffee. It’s a completely different beverage. Black, unsweet coffee, which is what I drink, is the nectar of the gods, so for me to proffer something as a substitute for coffee, well, that’s a pretty big step. But I’m taking it. I still love coffee. What I don’t love is caffeine headaches when I don’t get it, and that is what prompted me to try alternatives. You may ask, “Why don’t you drink decaf, Steve?” While I have found a decaf or two that taste pretty good, nothing really matches the flavor of real coffee for me. Plus, drinking decaf does nothing to deter the desire for real coffee, right? Kinda like fake sweeteners do nothing to deter the desire for real sugar. But that’s another discussion for another time…. Also, let me make this perfectly clear: roasted dandelion root tea does not taste like coffee. I am not saying it does, because it doesn’t. However, once I realized that drinking it took away my desire for coffee, I explored its flavors. There’s is obviously a roasted element there, and dandelion root tea also has the slightly bitter hint that is always present in a great cup of coffee. I don’t know if the flavor profile is the reason dandelion root tea satisfies me, but that seems like a logical conclusion. Anyway, if you are looking for a way to break the coffee habit, maybe try roasted dandelion root tea. Works for me. And, please, let me clarify: I am not giving up coffee. I love the stuff. But a single-shot americano once a day — maximum — is an amount that works for me. Supplement that with some tea, and I’m good to go! Stop obsessing about your weight! We need to stop obsessing about the numbers on the scale, and those on the tape measure, too, if truth be told. If we are a bit over that elusive “goal” weight, but are in good health — not on meds, bloodwork and vital signs are great — maybe it’s time we accept our current weight. I mean, let’s face it: Everyone is not built to be as thin as many of us strive to be. We see the beautiful people the media throw at us, and we think we need to try to look like them. Okay, first of all, if I made a living being beautiful, you can damn sure bet that I’d have the time and energy to get and stay that way. Second of all, I don’t make a living being beautiful. End of story. Trying to make a round body fit into a square hole does not seem like a very productive use of time. In the final analysis, if we eat right and exercise a bit, say a half-hour a day, we should live a long, active life, even if it may be with some “excess” baggage. How did I reach this conclusion? I looked at my experience with trying to get and stay thin, along with just-about-everyone-else-I-know’s experience with trying to get and stay thin. Have you looked around? It just ain’t happening. Now, yes, I am a lot thinner than I used to be. People might even perceive me to be thin. Some do, I know, because they make unsolicited comments about it. However, when I look in the mirror, when I grab the extra fat around my belly, I know that I am not as thin as I want to be. I want to see those abs! I’d already reached the obvious conclusion that my body is just going to do what it wants to do. I eat very well, and I exercise quite a bit. My bloodwork is beautiful, I am not on any drugs, and I am very fit. If all that is true, why would I possibly be concerned about a little extra pudge around the middle? Not only that, but as I reached that conclusion, I stumbled upon a book by Linda Bacon, Ph.D., called Health At Every Size. 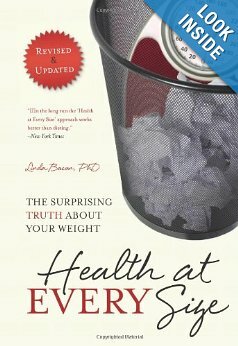 In this book, Dr. Bacon demonstrates, using convincing scientific data, that overweight people are often, in fact, not unhealthy, and they also often, in fact, live longer lives than “normal weight” people. Definitely something to think about. Read the book and decide for yourself. Regardless of whether you buy into Dr. Bacon’s arguments, please realize that spending time fretting about how many pounds we weigh is not a healthy way to live. Put away your scale! Eat right and exercise, and your body will take care of itself. Trust it.